Visit Rowan County for a taste of one community’s iconic crop. Farmers in woodleaf, in northwest Rowan County, have harvested tomatoes for more than a century. First, the Bailey family started growing them around 1900. Then the Flemings, the Wetmores, the Moores, the Corrells, the Myerses, the Collinses, and others soon joined. At one time, their tomatoes were shipped to Northern cities on refrigerated railcars, but today they stay closer to home. The crops are trucked to the Triad, Charlotte, and western Virginia. The success story of those tomatoes and those families in Woodleaf got people thinking about how they could celebrate. Eight years ago, that brainstorming led to the inaugural Woodleaf Tomato Festival. The now-annual event is held the third Saturday in August. An antique tractor parade kicks off the celebration at 9 a.m. Later in the day, Unity Presbyterian Church plays host to other activities, including a Little Miss Tomato contest for children, a silent auction, craft demonstrations, and live music. Of course, a food festival isn’t complete without an eating contest. In Woodleaf, participants compete in the tomato-eating contest to see who can scarf down the most cherry tomatoes. If you’d rather eat tomatoes in a more civilized manner, stop by and taste dishes in the tomato cook-off. 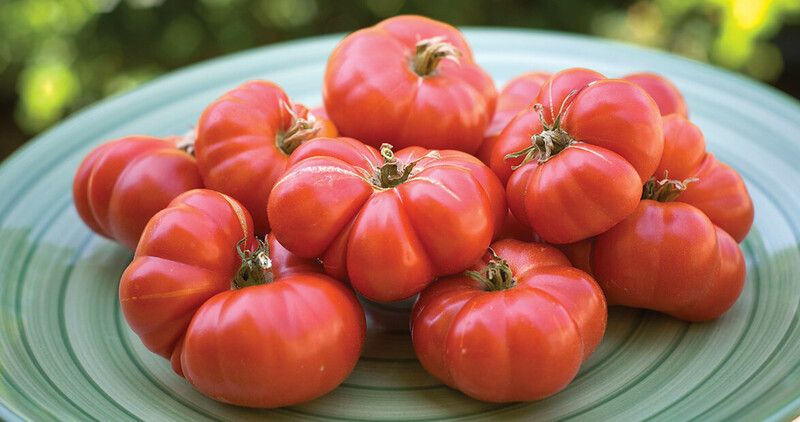 Or, take some Woodleaf tomatoes home to cook yourself. As long as farmers have a full harvest in July, tomatoes should be plentiful by August. You may see Woodleaf tomatoes for sale at roadside produce stands on your way to the festival. Soon, you’ll spot the fields they came from. And when you come upon a crowd of people dressed in red, having a big time, you’ll know you’re in the right place.